Online poker is a global game with players logging on and grinding from every part of the world. Every country has a #1-ranked player and here we take a look at some of those that lead the way in their home countries. Lithuania may not one of online poker’s powerhouse countries, but its #1-ranked player ‘dartazzzz’ certainly has proven himself to be elite. He is the #23 ranked player in the world and has accumulated over $3.7 million in lifetime earnings. This fall was a big one for ’dartazzzz’ as he set a new career-high cash during PokerStars World Championship of Online Poker. The Lithuanian bested the 1577 player field in Event-61-H ($1,050 NLHE Eight Max Progressive KO) for $120,281 and 887.98 PLB points. He accumulated 10 qualifying PLB cashes since the beginning of September and appeared at the final table in seven out of the ten. He also has 25 scores of four-figures or better in that same period of time. Currently occupying the top spot in the country of Denmark is Jonas ‘Palsgaard1’ Palsgard Christensen, the number-35 ranked player in the world. Christensen is a true grinder. In September he was seemingly playing every tournament he could and posting multiple results just about every day. In total, for the month, he registered 16 PLB qualifying cashes including a third place finish in partypoker’s POWERFEST-96-HR for $47,218.95. Christensen cashed in over 150 tournaments in September for a total earnings of just over $196,000. He currently has roughly $1.9 million in online tournament earnings and is just off his career-high ranking of #27 which he achieved this year. Uruguay’s #1 player, Fabrizio ‘SixthSenSe19’ Gonzalez, is also regarded as one of online poker’s best players. The former #1-ranked player in the world, not only crushes online but has been showing up more often in live high roller events. He recently was seen at the final table of the partypoker MILLIONS UK 25,500 High Roller where he finished as the runner up to Steve O’ Dwyer for a career-high live cash of $377,521. Gonzalez’ online prowess is well known. He has earned over $7.5 million in online tournament earnings, won a PLB leaderboard award and is a three-time #1 ranked player. Gonzalez may sliding on the online rankings due to his pursuit of playing in live events, but that hasn’t stopped him from from logging on and posting resulted whenever possible. While no longer of PLB consideration, Gonzalez career-high cash was a monster. Just two years ago he finished as the runner up in the massive WCOOP-70: $21,000 PLO Six Max High Roller for $355,730. 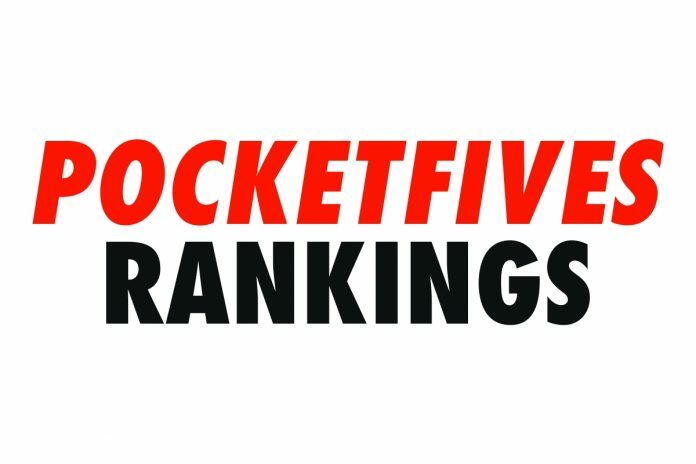 The #1-ranked player in Poland is a relatively new PocketFiver having joined up in July of 2018. Primarily a partypoker player, ‘GreenNaugahyde’ spent much of the month of September grinding POWERFEST and posting some impressive results. He made it to the podium in two major POWERFEST events including Event-77-H Mix Max where he took third place for $20,141. He followed that result up the very next day with another bronze finish in Event-89-H for another $8,169. In September ‘GreenNaughahyde’ earned over $111,000 over the course of 84 cashes. Of his 84 cashes, twenty went for four-figures or higher. With over $813,000 in total lifetime earnings, he’s looking to earn his $1 million badge right around the end of 2018. When a player is playing on a network that does not get to co-exist with the rest of the world, it can be hard to scale the rankings. Spain’s current #1-ranked player ‘jounas14’ has been grinding for years on PokerStars.es, but that hasn’t stopped him from registering on the rankings. Currently ranked #300 in the world (having reached as high as #200), ‘jounas14’ is a low-mid stakes grinder who puts in a healthy amount in of volume. He recently took down the September 20 edition of PokerStars.es The Hot €100 Turbo for $2,436 and 108.05 PLB points. He followed that up with four more four figure-score to date. His successful September has him earning a total of over $21,000.